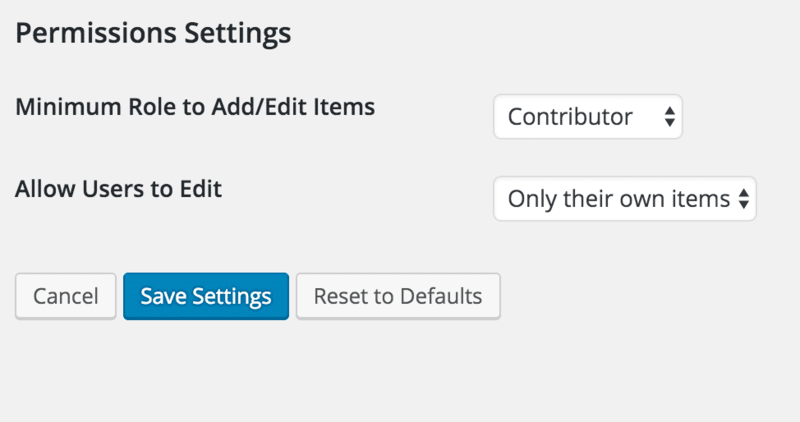 The Advanced User Control add-on allows you to limit which users in the Admin screens can add items, view items, and edit items based on the user, and which user the item is assigned to. It also provides the ability to have the system send reservation e-mails to the item owner (the user assigned to the item). With a simple, easy-to-use interface, it makes managing permissions for your users easy. A license entitles you to one year of support and updates. * Fix hard coded table prefix. * Update to be compatible with new WP Inventory dashboard functions. * Update to be compatible with new WP Inventory dashboard links.